Genuine JDM rear-mounted Air Purifier. Very very rare optional extra. 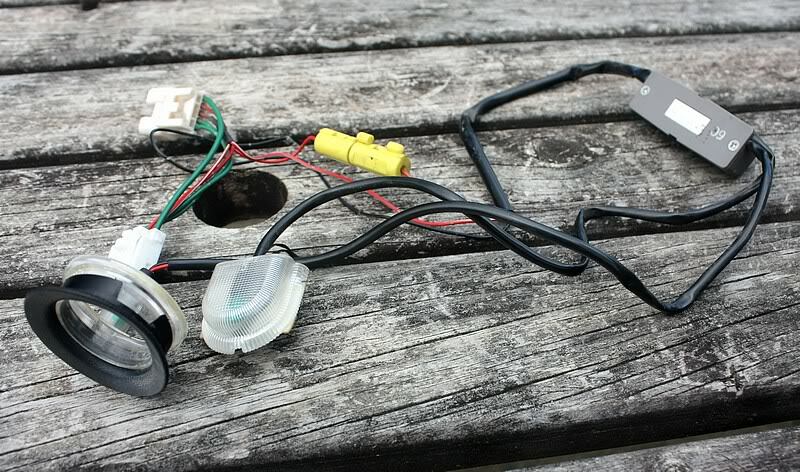 Fits all 1993-1997 7th Gen Corolla sedans and is very easy to install as there are only two wires - Positive and negative. 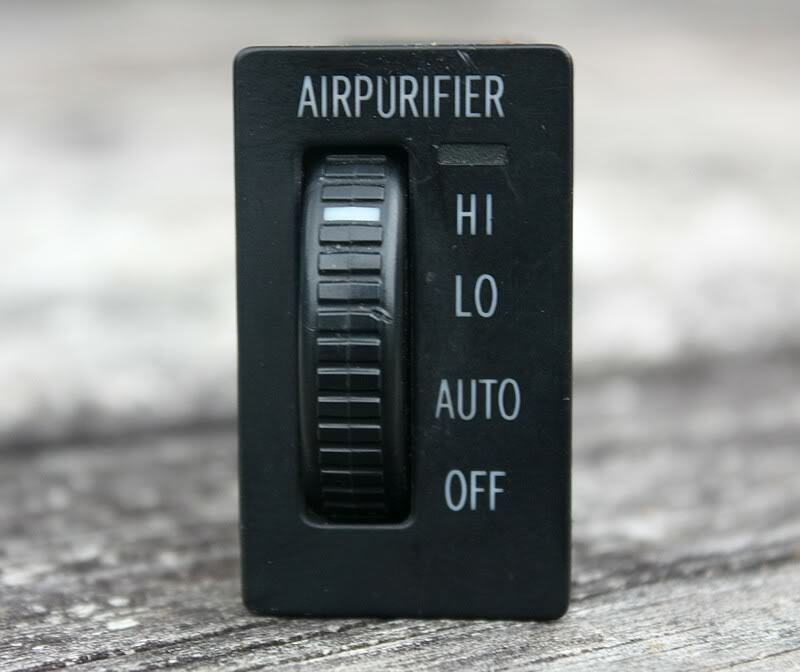 The purifier is activated by a switch which is located in the centre console, and has the ability to be set to 'Auto' (determines the purity of the air and adjusts the fan speed accordingly), 'LO' or 'HI'. 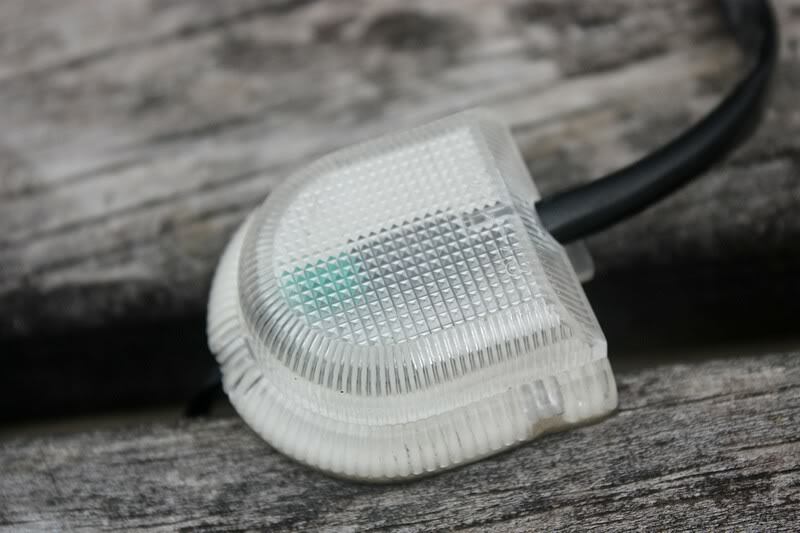 The switch has a backlight too, so it illuminates when your headlights are turned on. 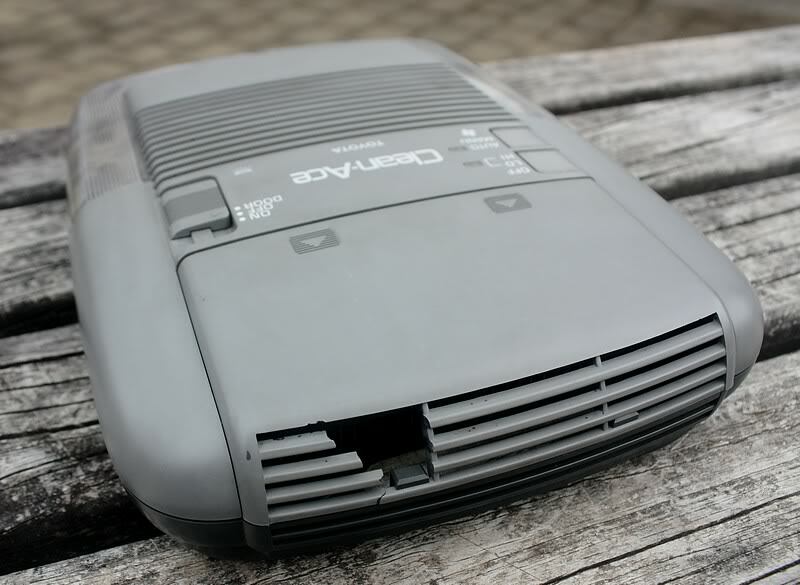 Comes complete with the Air Purifier unit, grille, filter, switch and all necessary wiring. $200 NZD ($160 USD) + shipping. SOLD. JDM AE101 key light and integrated driver's floor light. Fits all 1993-1997 7th Gen Corolla sedans, hatchbacks and wagons. Another very rare optional extra. 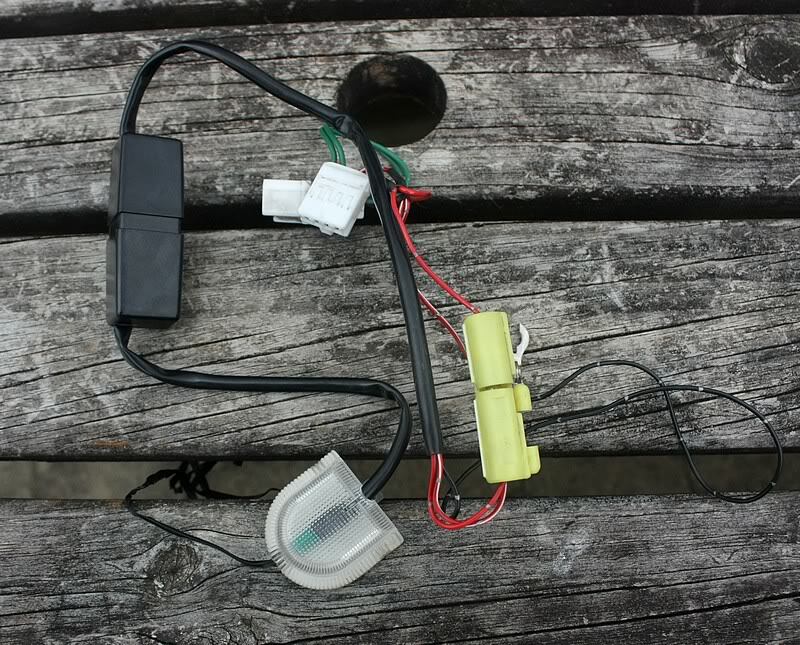 Comes in useful at night-time when you're trying to find the keyhole in pitch black darkness, and also acts as a guide to where the pedals are. 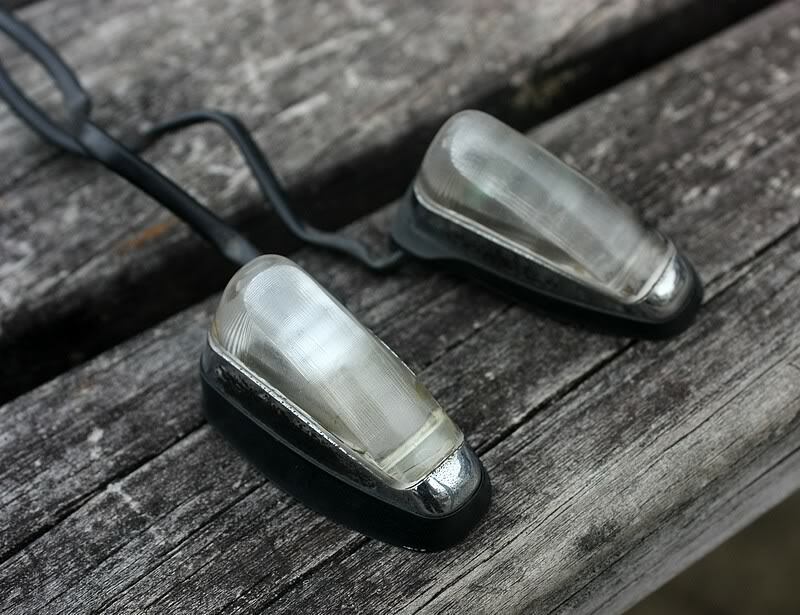 Both lights fade out after about 15-seconds, or stay illuminated as long as any of the doors are open. 100% plug-and-play for all 7th Gen models. $130 NZD ($102 USD) + shipping. Also have one of these units available for the 8th Gen Corolla. SOLD. AE101 driver's side floor light. Fits all 1993-1997 7th Gen Corolla sedans, hatchbacks and wagons. Another very rare optional extra. Acts as a guide at night time to show you where the pedals are. The light fades out after about 15-seconds, or stays illuminated as long as any of the doors are open. 100% plug-and-play for all 7th Gen models. $60 NZD ($47 USD) + shipping. SOLD. 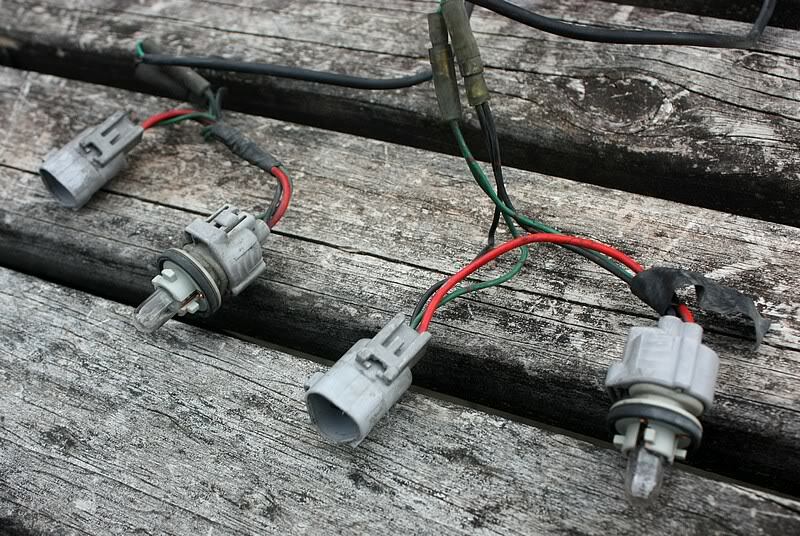 AE101 JDM driving lights. These are incredibly rare, and I've only ever seen them in sales brochures. Only available as an optional extra when new. 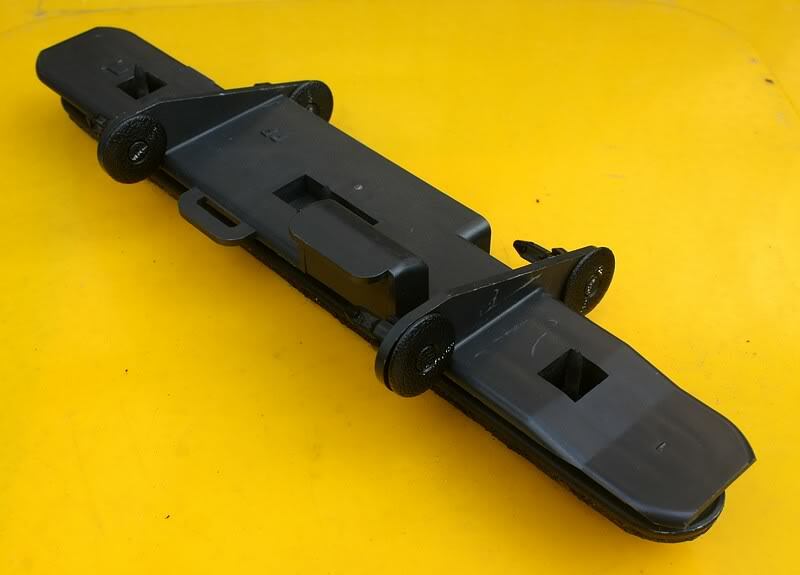 They are a perfect fit for both the pre-facelift and facelift JDM bumpers, but would also fit the USDM bumpers with a bit of modification to the mounting brackets. The lenses are made of glass and they take halogen bulbs (included). $150 NZD ($118 USD) + shipping. SOLD. 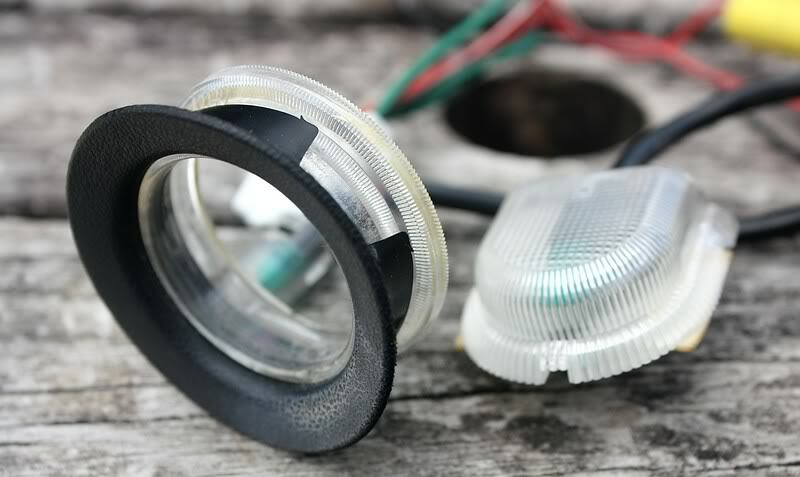 AE101 genuine OEM Koito BZ Touring fog lights. 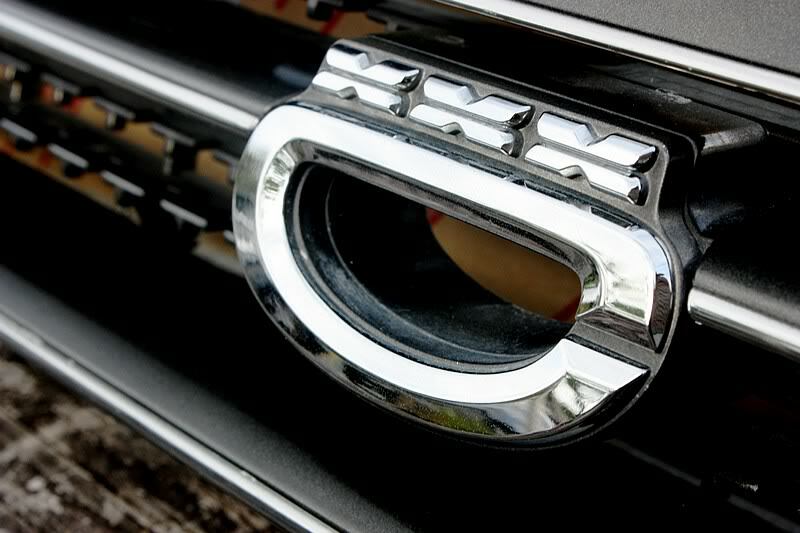 The ideal way to complete your BZ Touring front end. May also be an ideal size for the USDM front bumpers. $150 NZD ($118 USD) + shipping. SOLD. 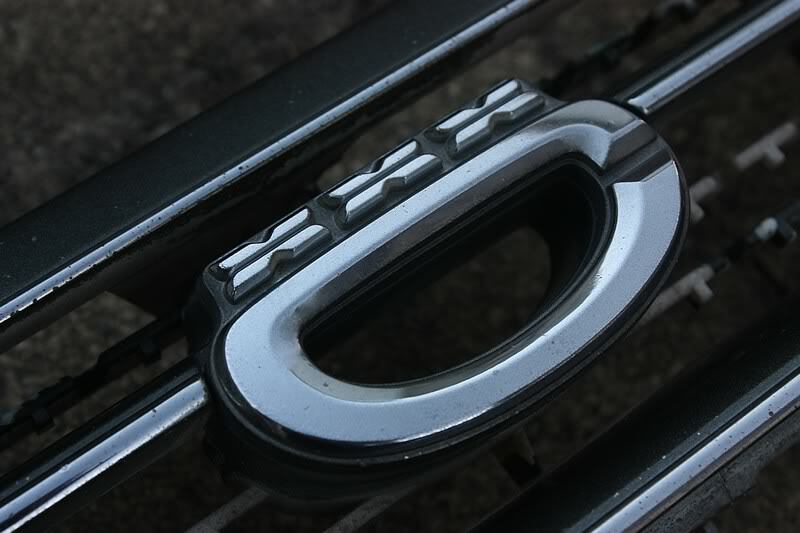 AE101 JDM pre-facelift C grille. Very sought after, and the best looking JDM grille available in my opinion. Same type as I have fitted to my Corolla. $130 NZD ($102 USD) + shipping. SOLD. AE101 facelift JDM tail lights. 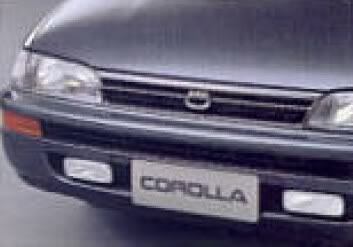 Fits all 1993-1997 7th Gen Corolla sedans. 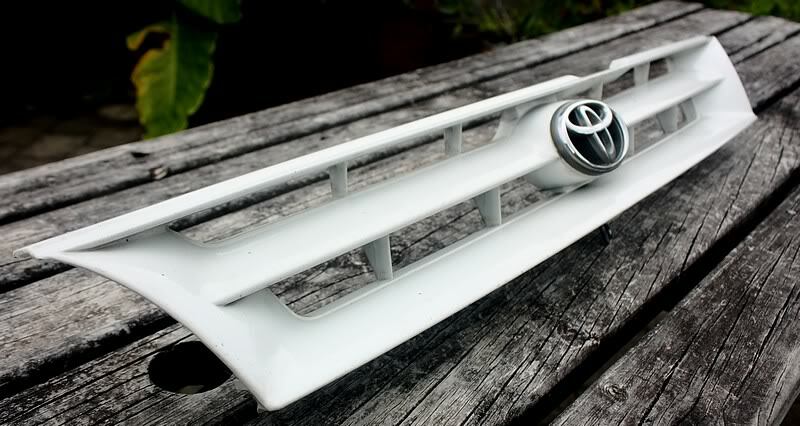 Difficult to find, and look great on any 7th Gen Corolla. Comes complete with both tail lights, centre garnish and sockets. $200 NZD ($160 USD) + shipping. SOLD. AE101 OEM BZ Touring wagon front lip spoiler. Designed to fit the facelift BZ Touring wagon front bumper, but could be fitted to any AE101/AE102 bumper with some slight modification. $150 NZD ($118 USD) + shipping. SOLD. Incredibly rare AE101 Burger Tray. Please note, this only fits right hand drive (RHD) Corollas. Allows you to put items (such as burgers) on the passenger's side of your dashboard without them sliding around. Also acts as a removable mirror, which comes in handy when carrying around your lady friends. Plum in colour. $200 NZD ($160 USD) + shipping. SOLD. 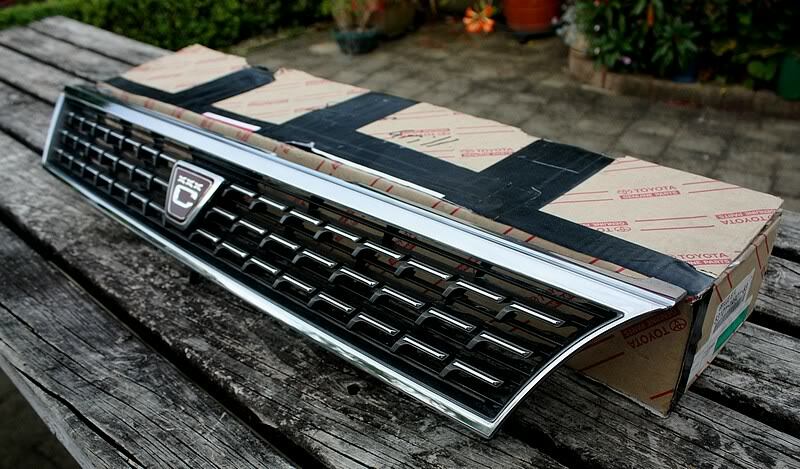 Brand new AE101 JDM facelift grille. Impossible to find brand new these days. Never been used and still in the original Toyota box. $230 NZD ($180 USD) + shipping. Brand new AE101 pre-facelift grille. Impossible to find brand new these days. 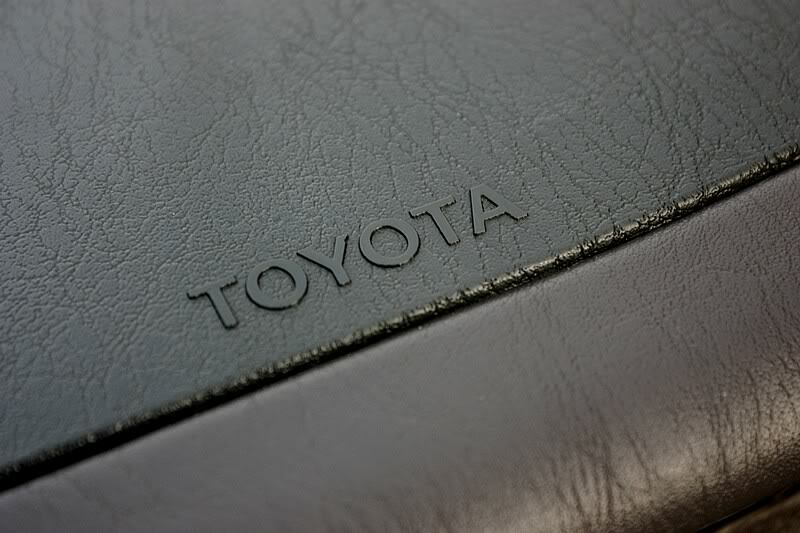 Never been used and still in the original Toyota box. $230 NZD ($180 USD) + shipping. 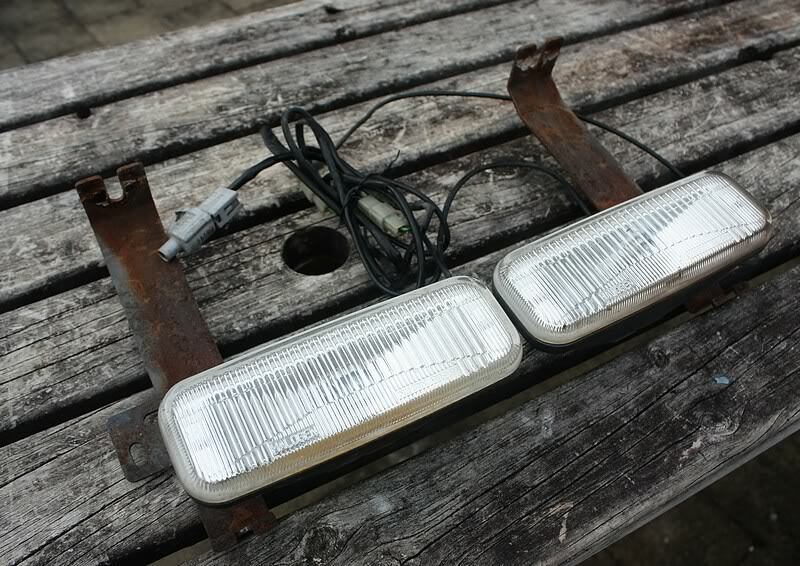 Very rare optional extra JDM AE101 fender lights. These lights sit on each fender and illuminate when you turn your park lights/headlights on. Their purpose is to provide a guide as to where the front corners of the car are when you're parking so that you can avoid hitting the wall or other objects. 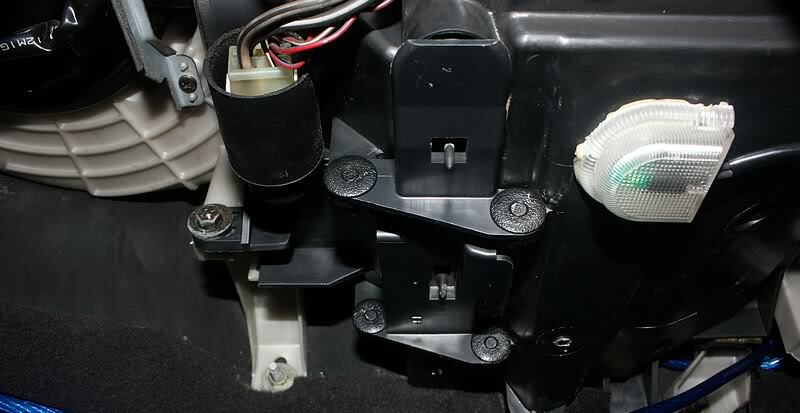 Extremely easy to install - 100% plug-and-play to all 7th Gen Corolla models. $130 NZD ($102 USD). AE101 JDM rear garnish. Fits all 1993-1997 7th Gen Corolla sedans. $60 NZD ($47 USD) + shipping. SOLD. And indeed, awesome stuff again! 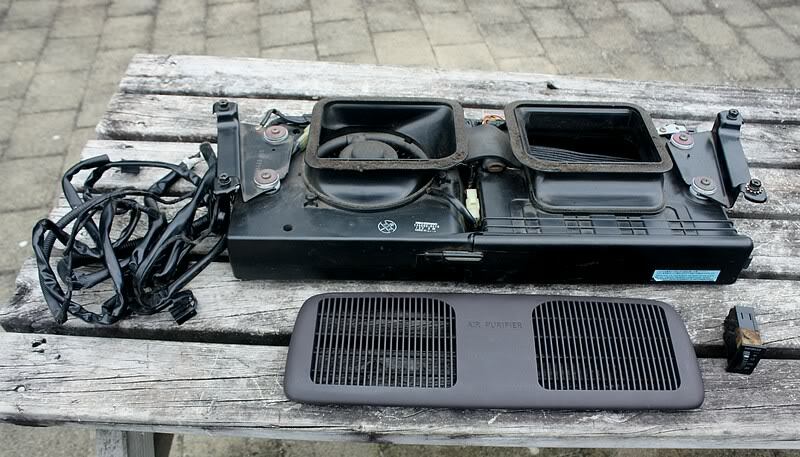 Air purifier and facelift tail lights both sold. Driving lights pending payment. Bump. 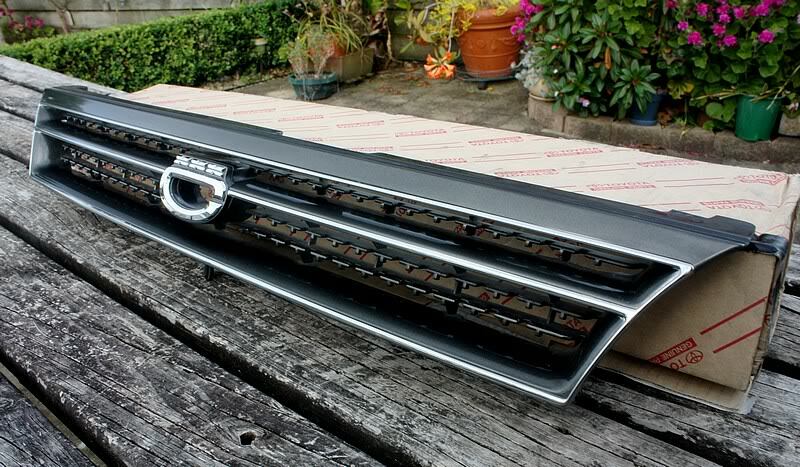 Still got both brand new JDM grilles available, as well as the JDM fender lights. 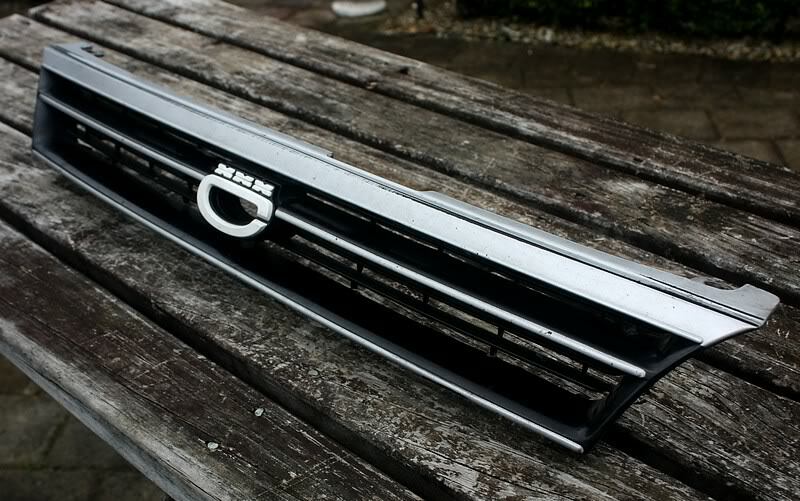 AE101 JDM C grille. 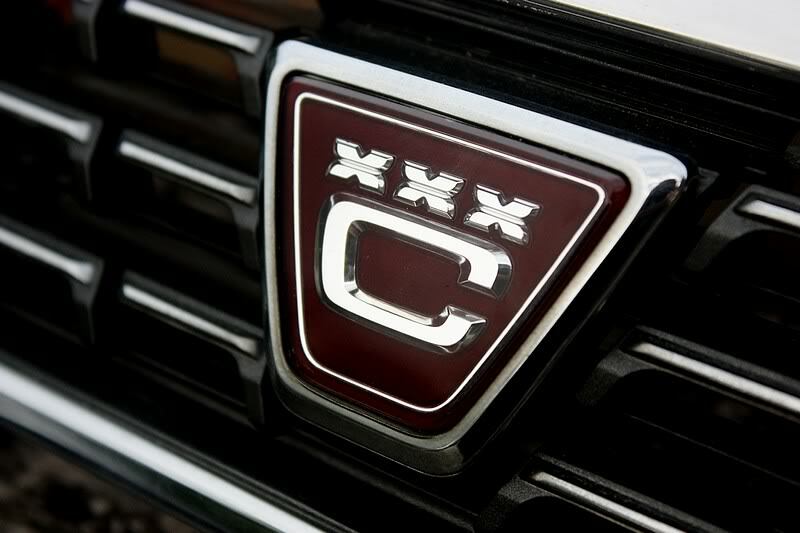 Light silver in colour with very rare white C badge. Excellent upgrade for USDM models and greatly improves the look of the front end. Still in very good condition. $130 NZD ($101 USD) + shipping (approximately $30 NZD/$23 USD) on International Air, 3-10 working days). 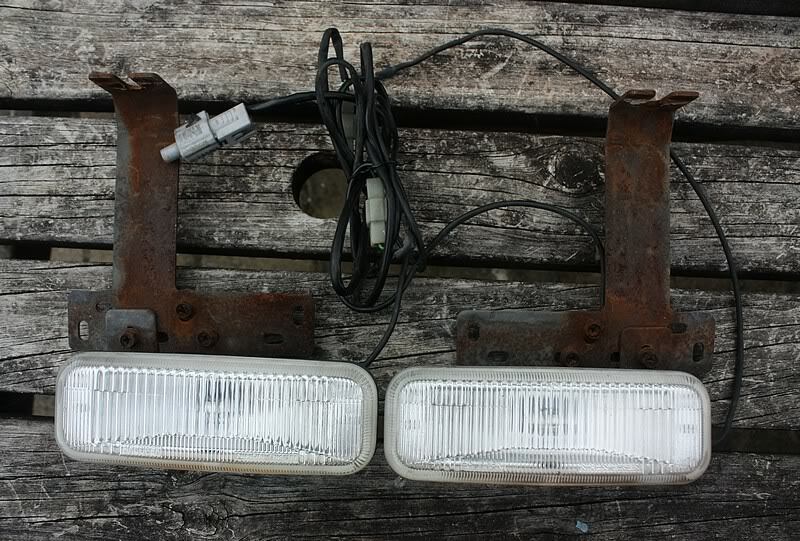 AE101 JDM corner lights (fender lights). 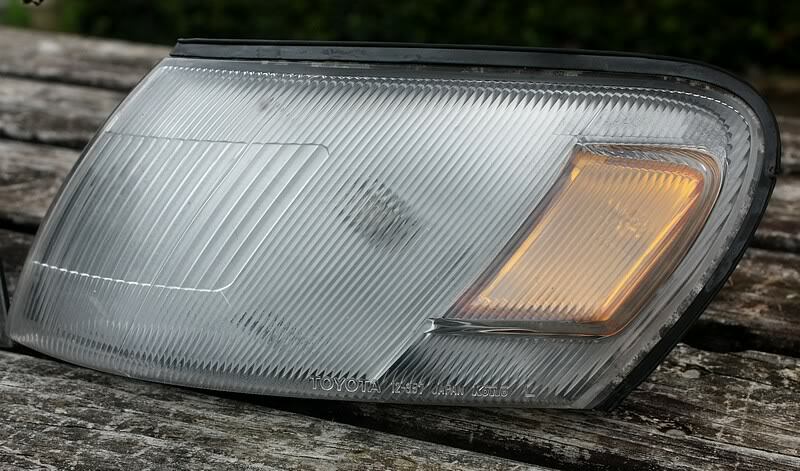 The JDM corner lights have a built in turn signal instead of just a reflector like the USDM models have. 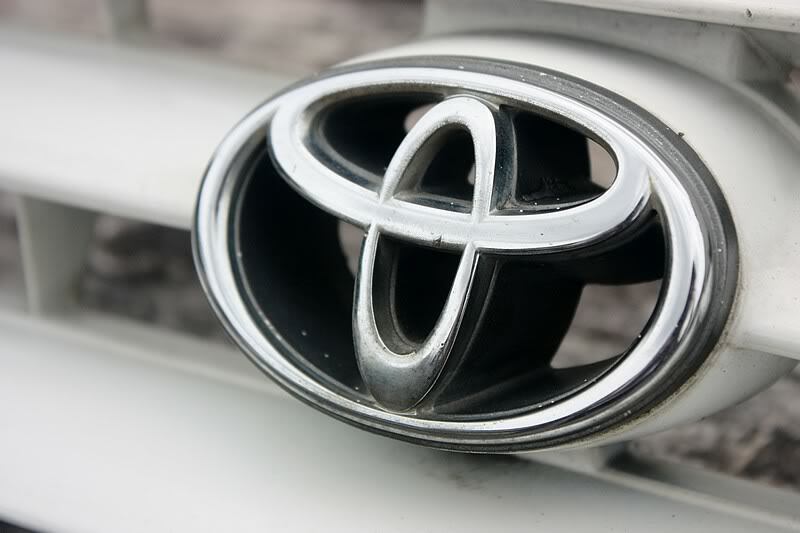 They are both in great condition and are genuine Toyota items. $80 NZD ($62.50 USD) + shipping. 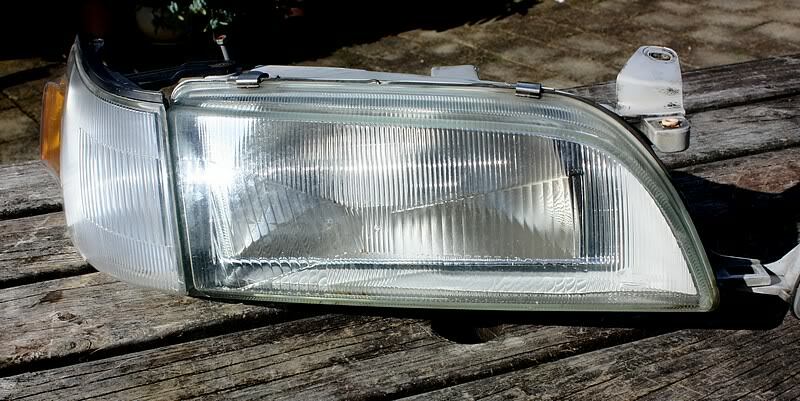 Also have glass JDM headlights to match these, please see below. SOLD. 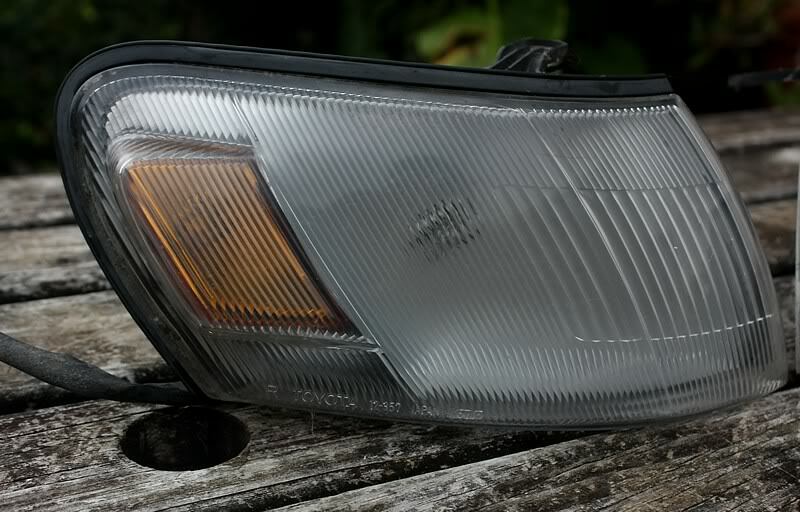 AE101 JDM glass headlights. Very hard to find these in glass. 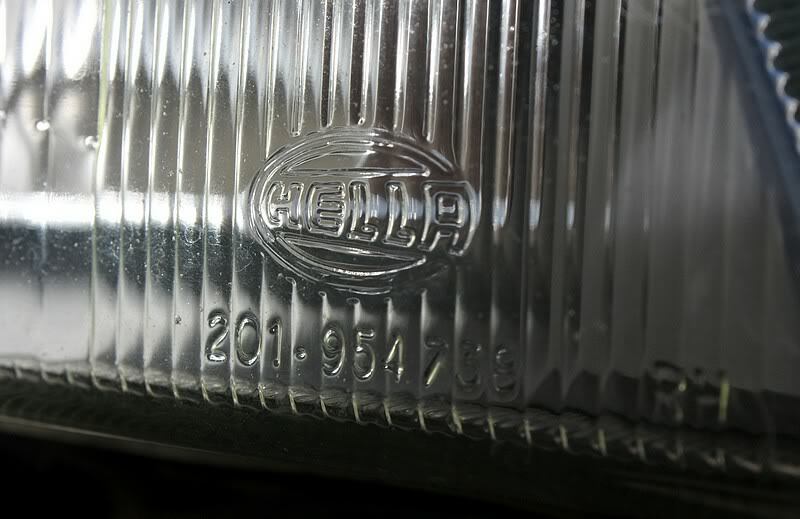 Made by Hella for Toyota. Genuine OEM headlights. Fits all AE100/AE101/AE102 models. Please note, the price is only for the headlights - Corner lights not included. Comes complete with plugs, wiring and bulbs. WAS: $200 ($155 USD) + shipping. NOW: $160 NZD ($125 USD) + shipping. SOLD. Scott only sells the best stuff. 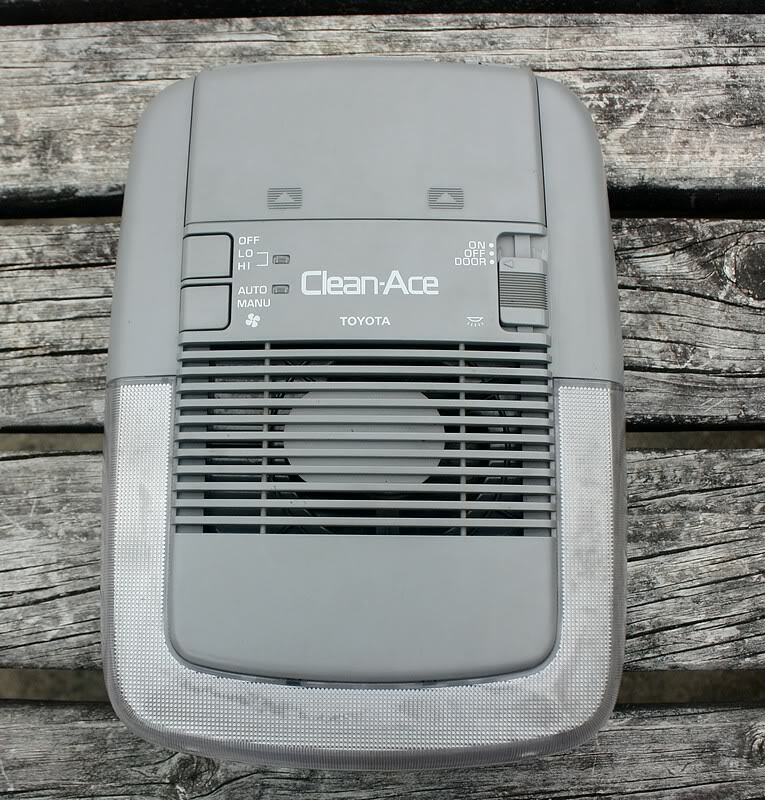 Very rare AE101 optional extra Clean Ace roof mounted Air Purifier. This was a very rare JDM optional extra and is designed to filter out impurities inside the cabin, such as dust, pollen, smoke etc. It has four bulbs inside which illuminate the cabin a lot better than the standard interior light and the purifier has a few different options to choose from: Auto or manual mode, "LO", "HI" or "OFF". The purifier will automatically switch off as soon as any of the doors are opened, so that you can never accidentally leave it running. 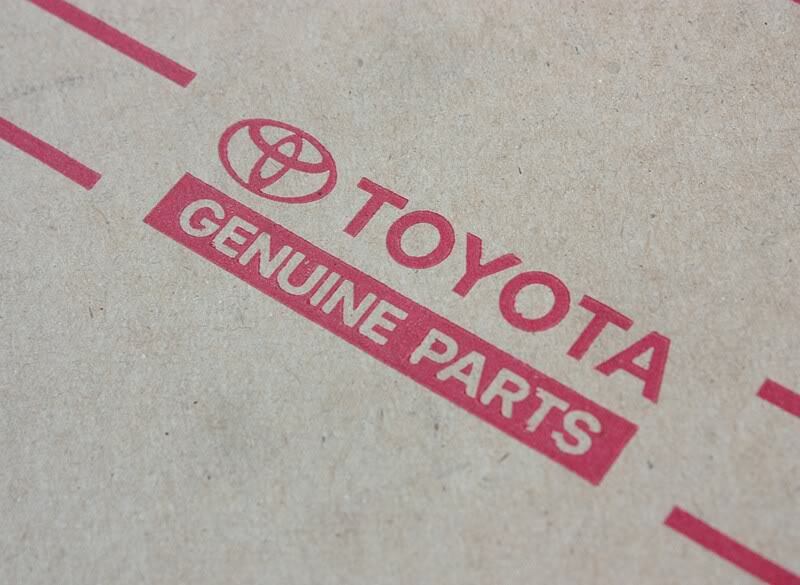 Brand new genuine Toyota replacement filters and scent packs can still be purchased and the details will be provided to the buyer. Unfortunately there's a bit of damage to the plastic on the rear of the unit, but it's not noticeable from the front of the vehicle and doesn't affect the operation of the unit whatsoever. This however is reflected in the price. Comes complete with the filter, scent pack, mounting bracket, wiring, screws and screw sleeves. Very easy to install. $120 NZD ($95.50 USD) + shipping. SOLD. 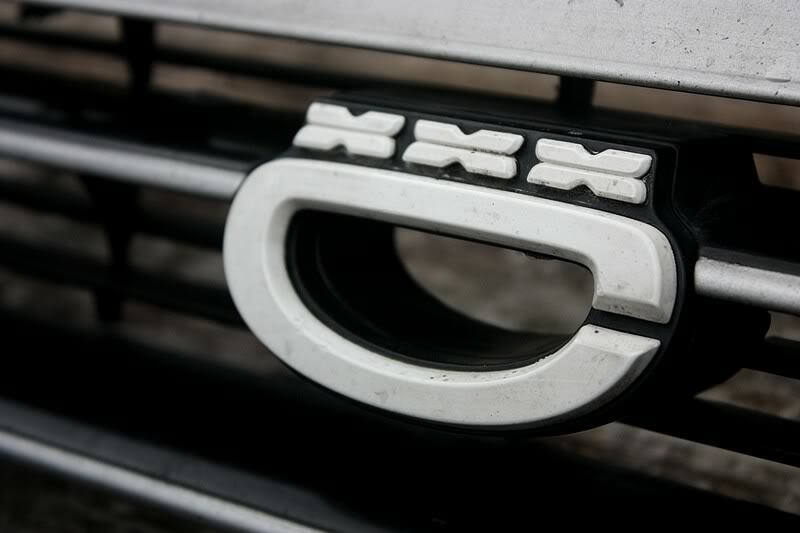 AE101 JDM FX grille. Very good condition with no cracks etc. 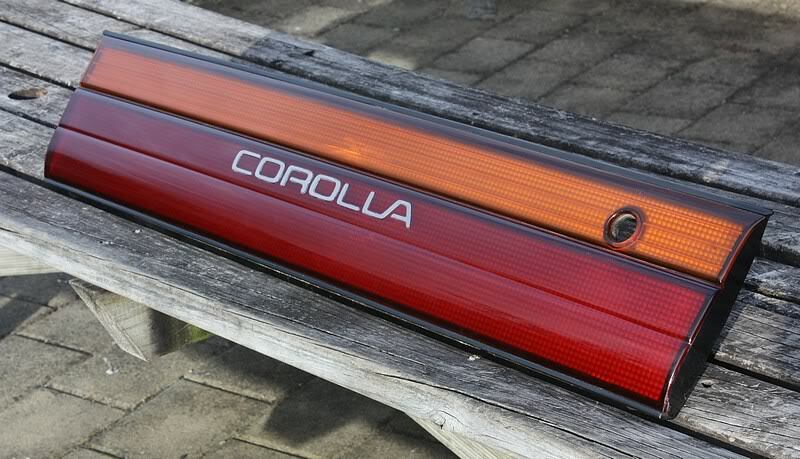 The perfect upgrade for any USDM Corolla. $130 NZD ($103.50 USD) + shipping. 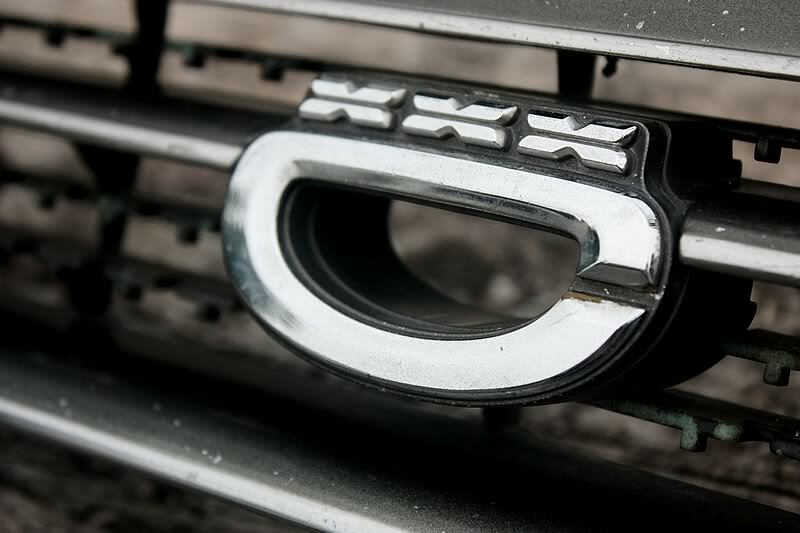 AE101 JDM C grille. Very sought after. Very good condition. $130 NZD ($103.50 USD) + shipping. SOLD. Scott... You.... You... You treasure hunter! Rare A/C JDM cabin filter door for sale. 4 currently in stock. This door will allow you to fit a cabin filter inside your Corolla. 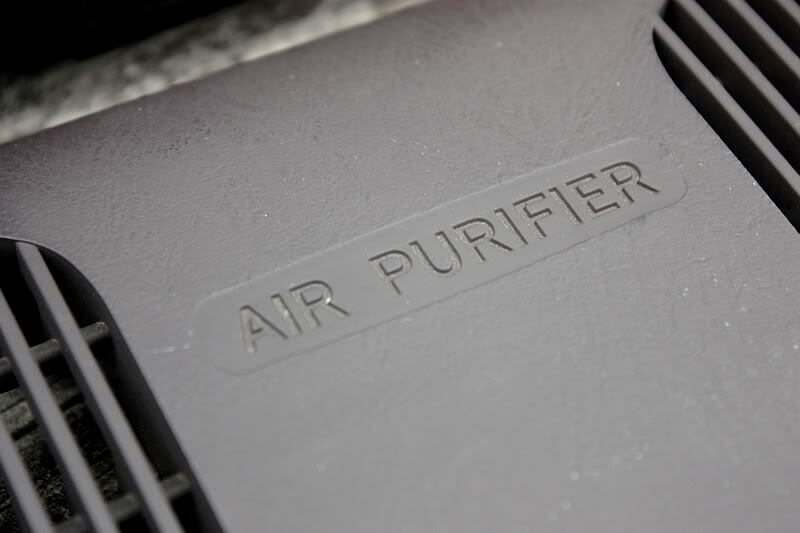 The filter can be purchased brand new from overseas (I'll provide the details to the buyer) and once fitted it will filter out any dust, dirt, allergens such as pollen, smoke and odours. This door is essential for the install as it holds the filter in place. Each door comes complete with all four clips. Suitable for both LHD and RHD models, however your Corolla must have air-conditioning (A/C) in order to install this feature. $60 NZD ($46.50 USD) + shipping. I'll PM you with the details on where to get one. Wow, interesting that yours still has the filter installed. Every single one I've seen that's fitted with the filter door is missing the filter. I always presumed that they got removed at the border when the cars arrived from Japan to prevent any pollutants and bugs etc from entering New Zealand. my filter smelt really bad and after reading about it on your door and found it in my car and realised all the aircon spray I hav been putting in the aircon has not been working so now I have a big job to clean it out. Scott, if you find another floorwell light for the drivers side I'm calling dibbs! 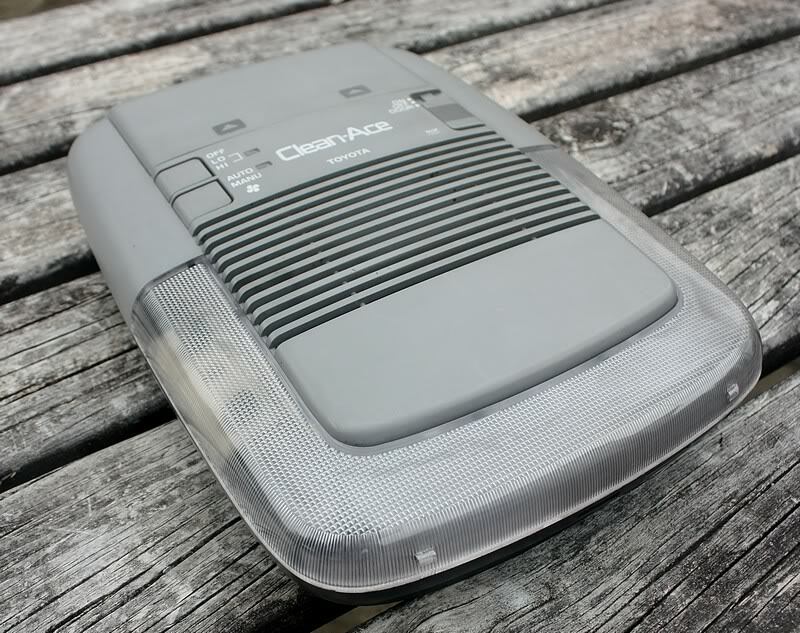 Bump - C-pillar lights, key light and Clean Ace air purifier now sold. All other parts still available. Oh ok cool, good to know. Every single model I've seen fitted with the cabin filter door is missing the filter, so I'm not sure if they were removed in Japan, removed in NZ or never installed from the factory. 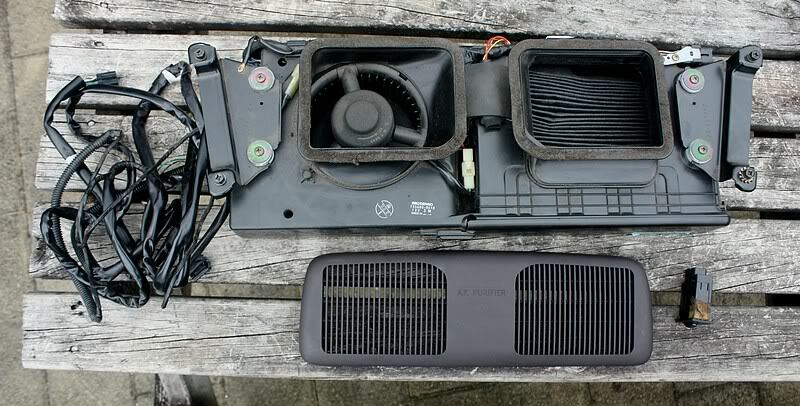 Rare A/C JDM cabin filter door? = ) Im from PH. How much is the shipping fee to here? cant wait to install it on my AE!